-Tongue Weight up to 3,500 LBS with Steel Powdercoated Frame. -Steel Push- Pull Handle. Rubber Grips. Rubber Push Bumper. -5/8 Hitch Pin. 8 2,000 LB Capacity Wheels. Front Brake, Locking Hole. 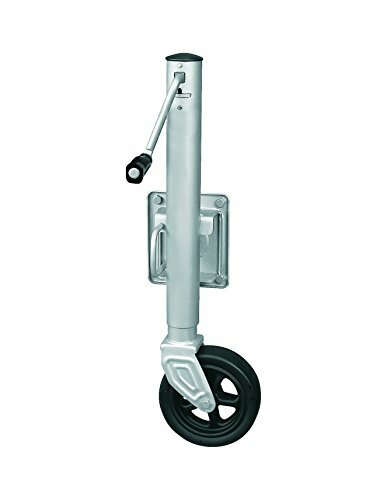 Our SeaSense 2500LB Mighty Wheel Swing-up Trailer Jack has a Sea Coat finish, to withstand the harshest marine environments. The Mighty Wheel is 4" wide by 8" tall, to help prevent sinking into sand and mud. Increase your trailer's maneuverability into the garage, on rough surfaces and both on and off pavement. This side crank swivel trailer jack features dual locking pins, for added strength. Fits on tongues up to 3" x 5" and provides 27" of life and 14" of travel. Galvanized mounting hardware included. 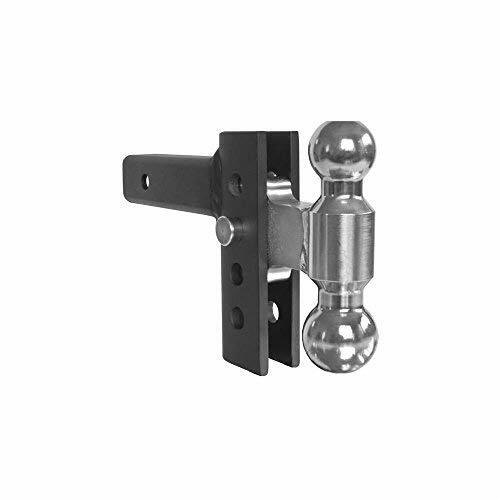 Brand: SeaSense | Manufacturer: Unified Marine, Inc.
Five Oceans electric galvanized, powder coating couplers offer a quick-lock ball clamp assembly that is adjusted to the ball size and provides a precise fit for safer towing. Trigger-action release allows for quick hitching/unhitching. 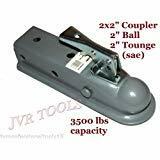 Descriptions: Black powder coated finished ; Converts 2" vehicle side hitch opening to accept 1-1/4" trailer insert ; Fits all 2" square tow receivers ; Overall length: 7-1/8" ; Pin hole size: 5/8" ; 2-1/2" from pin hole to pin hole ; Safety hitch pin (5/8") included . Why we need this Hitch Tightener? Most of the vehicles install the flagpole, trailer box, racks from the tail may appear the situation like loose, wobbling or shaking. This product can solve these problems. It hold the hitch tightly and eliminates 90% of the wobble of the rack. This works great to remove the wiggling, banging and clanging of the rack behind the van. 3. Maximum available size: 2"x2.5"
4. Size: U-bolt 3.81"x2.66", plate 3.36"x2.35"
Why Choose Our Hitch Tightener? YBEMarket Hitch Tightener is the best working hitch stabilizer on the market. We are devoted to a complete line of productsusing cutting edge technology with the expertise and ingenuity to producesuperior products that are durable and dependable. We always developand apply the newest advancements in technology to provide customers with quality products without the high price. 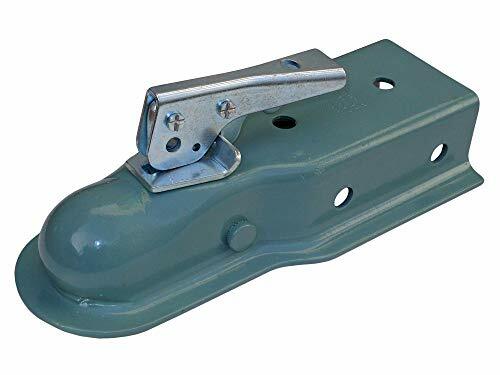 QUIET AND AVOID SHAKING: The hitch tightener eliminates hitch noise, wobble, rattle and hitch movement for cargo carriers, hitch receiver, trailer ball mounts, bike racks, hitch racks, etc. And features a sleek, discrete design, making your trailer sound as good as it looks! Enjoy your quiet towing experience. QUICK INSTALLATION & SAFER TRAVELS: Convenient and easy to install, there's no need to call for a mechanic! Simply slip the U-bolt over the receiver, slide the tightener plate into the bolt, and tighten into place. In just 3 easy steps and in less than 10 minutes. DURABLE DESIGN: When we craft our hitch accessories, we use high-strength corrosion resistant material for reliability! 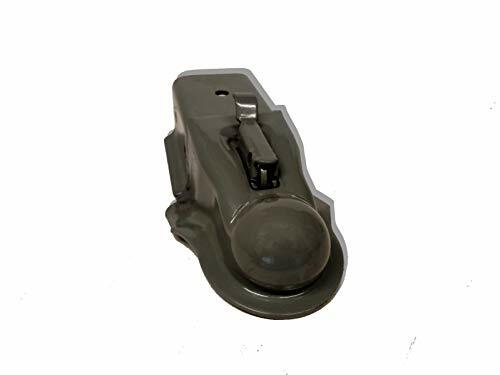 The tightener plate and U-bolt are both black powder coated for a clean appearance and protection from weathering, rust-free, while the U-bolt is flat on one side for a strong, steady hold. 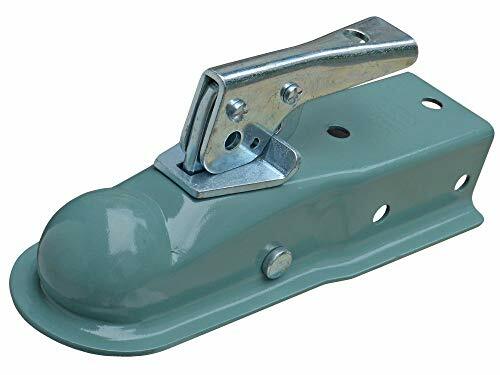 PERFECT COMPATIBILY: It is well-suited for all 1.25-inch and 2-inch hitches to secure a wide variety of trailers, truck, SUV, sedan, car, auto, RV, van, camper, minivan, bike racks, cargo carriers, boat, motorcycle, cargo, luggage, dirt bike, platform, ATV, scooter, wheelchair, box, basket, etc. Keep in mind that this plate has an upturned lip; check your receiver for compatibility. WARRANTY: At Titan Auto, we create premium products that help make your journey a little easier, allowing you to enjoy the destination! We offer lifetime satisfied customer support and one-year warranty. 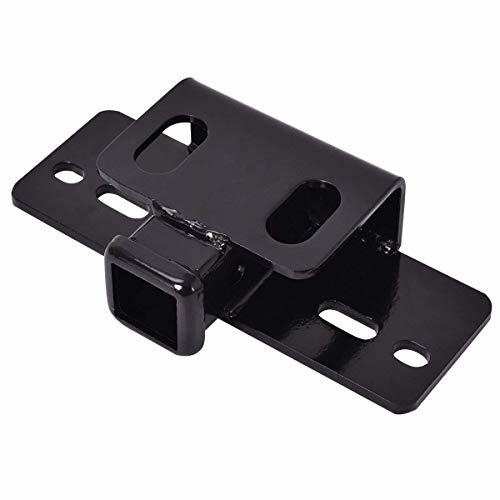 Our step bumper mount mounting for 2" hitch receiver is made of solid steel, which is durable and weight capacity reach 5000lbs.It is a great receiver hitch to allow your vehicle to haul trailers and pull 5000 lbs. The surface of the product is powder coated resistance rust and scratching. 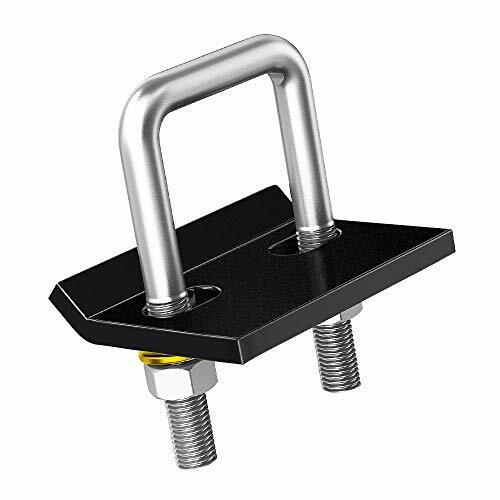 This mounting hitch receiver can step bumper of your car, truck or SUV easily and cheaply! 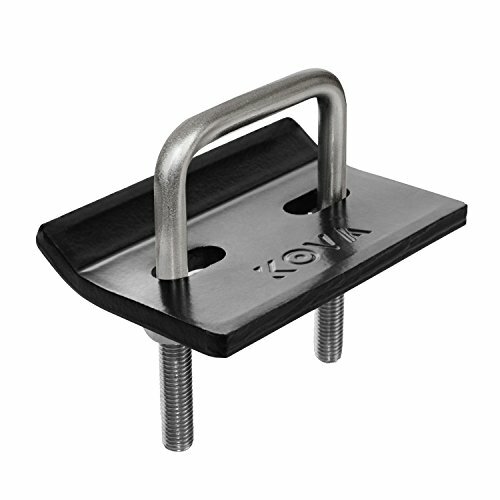 The receiver hitch easily bolts onto the step bumper of your vehicle to ensure a secure hold. Large 5,000 lbs Capacity: Large load distributed capacity of up to 5000lbs becomes an incredible help on trailing cases and it can be suitable on any 2-inch receiver to make possible of carrying longer or bigger payloads and fulfill the purposes for many different situations. Solid construction: Sturdy and durable steel tube construction without the risk of rust allows long-lasting use to bring a durable utility satisfaction for you. Easy to carry and store: One package includes 2 items, its less than 30lbs weight enables you take it to your desired place and make it work on any situations. Easy to storage and its compact feature can be taken hither and thither. Stainless Steel : Simple design with stainless appearance, function-oriented extender strives for more loading space for users. 2-Inch receiver: High quality with 2'' hitch receiver ensures multiple kinds of vehicles suitable to use it. It's a good helper for your long-distance trailing. 3297 8 Inch/1- 7/8" X2 8" 3297 Andersen Hitches Ez Adjust Hitch Tags: Easy to install and adjust. Comes in 2 sizes; 4 inch drop/rise or 8 inch drop/rise. The height is easily adjusted by removing the ping and adjusting the height in 1 inch increments. An optional locking pin set is also available. 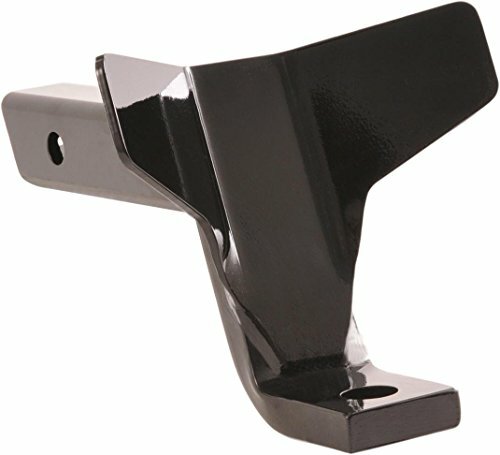 For all 2 inch hitch receivers. Our original EZ Adjust Hitch line is made up of amazing products that allow you to easily adjust your ball size and height with just one pin! Each hitch features a high-quality rack and a combo ball that provide you with an unmatched versatility in towing ability. And adjusting the towing height or switching the combo ball is incredibly simple: just pull the pin, make the adjustment, and replace the pin. That's it! 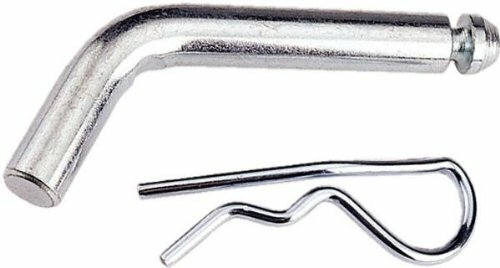 For added security, you may want to look into our EZ Hitch Locking Pins. These adjustable drop hitches feature an all steel construction that has been tested independently to meet SAE J684 standards and are made right here in the USA. For more heavy-duty towing, check out our EZ HD Hitches. This bolt on coupler would make a great addition to any trailer, or allow you to switch from the common smaller 2" ball hitch, to the stronger 2-5/16" ball size hitch, if you have a straight tongue! Not only is it heavy duty, it also has a nice low latch for easy latching. Common swap on boat trailers! 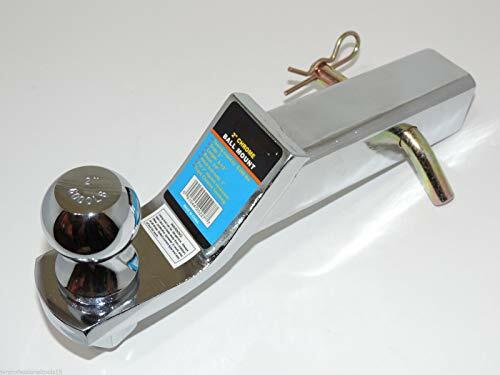 Center Hole to Center Hole: 3"
3in1 Ball Mount Drop Hitch - Trailer Alignment Guide and Bumper Guard | Class III, 3 Inch Drop, 7500 lb Tow Capacity | Patented steel wing protects your vehicle from damage and makes hooking up easy! I have some exciting news for you. You can finally bring your family on a dream camping or boating vacation and have complete confidence in yourself while hitching your truck to your trailer. You will no longer have to worry about reversing back and forth while trying to get your vehicle perfectly straight with the trailer. 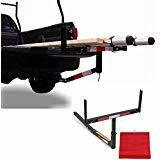 You will no longer have to suffer the expense of ruining your truck or car bumper by backing into the trailer tongue. And even more importantly...you will no longer have to endure the embarrassment of looking your family in the eyes when they realize you are unable to connect the camping trailer. With its patented 8.5 inch wing design, the D-Wyng will guide the trailer tongue perfectly over the ball mount each time you connect your trailer hitch. 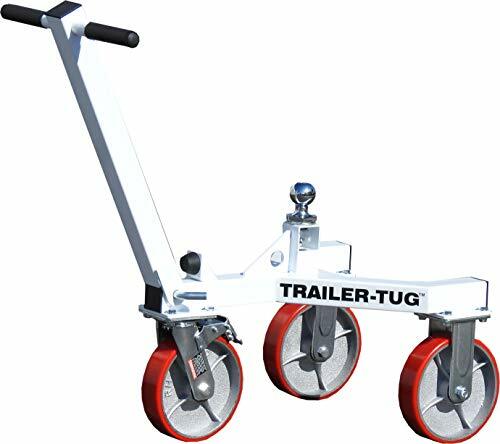 Physically moves the trailer tongue over the hitch ball for you. Is also a ball mount. Protects your vehicles bumper from damage. Stays attached to your hitch as you tow your trailer. Made of high grade steel and secured with heavy duty welds. The D-Wyng hitch is the ONLY all-in-one ball mount, hitch guide and bumper guard on the market! Get Yours Today! THREE IN ONE TRAILER HITCH - Stop fighting with your trailer and start enjoying your vacation! The D-Wyng combines a ball mount, hitch guide and a bumper guard all in one simple to use piece. D-WYNG PROTECTS YOUR BUMPER - No more dents, dings or scratches on your vehicle while hooking up the trailer. This tow hitch has a patented 8.5 inch wing that guards your car rear end and license plate from costly damage. 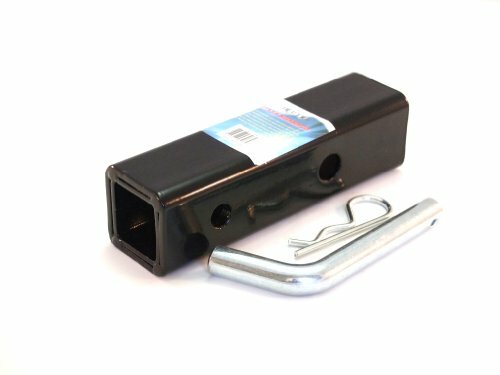 RECEIVER HITCH ALIGNMENT TOOL- Now anyone can back the truck up to the trailer hitch and get it right. Yes, even you! The clever design guides the trailer tongue directly over the ball mount allowing for quick and easy connecting. HEAVY DUTY WELDS WILL NOT BEND OR BREAK - Other aligner wings bend, break and don't lock in place. The D-Wyng drop hitch is made from high grade steal with heavy duty welds and stays in place even while you are towing! 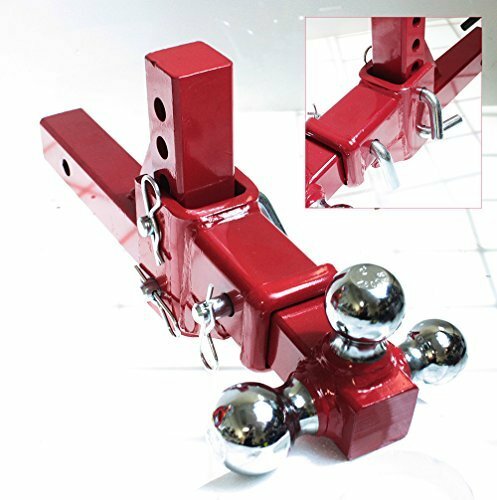 CLASS III TRAILER BALL MOUNT HITCH - This unit is a 3 inch drop hitch designed for 750 pound tongue weight and 7,500 pound gross weight. Fits trailer hitches with a 2 x 2 receiver tube opening. Equipped with a 1 hole to accept a trailer ball shank. Length After Folding 90 Degree: 14"
Included: 1- Steel Plate 1- Ubolt 2- Nuts 2- Lock washers 2- Flat Washers Rust Free - Easy Install - 304 Stainless Steel - 2" and 1.25" Hitch Ball Trailer Hitch Stabilizer - Designed to eliminate all the rattles, jolts, wobbles, and noises from towing with ball mounts, hitch luggage racks, and bike racks. Hitch Tightener Fits 1.25" and 2" Ball - Installs on any of the Class 1-2-3-4 hitches with a 1.25 inch or 2 inch ball. Easy and Quick Install - The simplicity and strength of the lock in place hitch bracket is second to none. Install in less than 1 minute. Multi-Uses For Hitches - Can be used on trucks, cars, SUV, Campers, ATVS, Whatever you can find with the proper hitch size and class listed above rargo carrier reciever hitch stabilizer trailer hitch tightener hitch carrier anti wobble lock hitch clamp rattle bal stabilizer cargo carrier hitch quieter. Receiver Hitch Stabilizer - Designed to eliminate all the rattles, jolts, wobbles, and noises from towing with ball mounts, hitch luggage racks, and bike racks. Heavy duty Steel Construction Fits all receivers with 2" Square opening 4 levels of raise: 4-1/2" to 10-1/2" Maximum GTW Load 5000 LBS. Max Tongue WT 500 LBS.